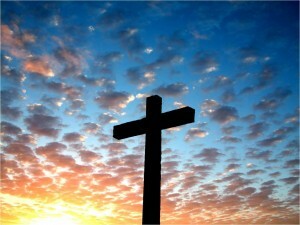 Today we celebrate the holiest day of the year for Christians: Easter. Without Easter our faith would be without power. Jesus Christ came into the world to die, he was sent to be an atonement for our sins, to be our sacrifice, the sacrifice above all sacrifices. The Christian faith has a leader who died and then beat death by being resurrected, beating the sting of death and sin forever. Today we meet in churches all across the world and celebrate the fact that our Lord lives, that is has Risen Indeed! Christians aren’t better than anyone else (some act like it), we aren’t the chosen ones (read John 3:17), and we aren’t deserving of this gift (read Romans 5;8), but we are loved (read John 3:16 and about 1,000 more). So Christians (all who confess with their mouth that He is Lord and Savior) are forgiven and “saved”, so today we have much to celebrate. As Christians instead of telling others what they are doing wrong, perhaps we should share of what Christ did for us, just a thought. Until next time, peace.